QuickBooks Self-Employed is a small business accounting software for self-employed individuals required to file a Schedule C, such as freelancers, real estate agents, Uber drivers, and independent consultants. Pricing plans start at $10 per month, and you can track all income and expenses, mileage to and from clients, and file your taxes with the QuickBooks Self-Employed TurboTax bundle. If you’re currently using an Excel spreadsheet or stuffing receipts in a shoebox, it’s worth upgrading to the QuickBooks Self-Employed Tax Bundle. You can scan and categorize expenses from their mobile app easily. You can also pay estimated quarterly taxes and file a federal and state tax return at no additional cost. Save up to 50% for a limited time. If you are a freelancer or solopreneur who files a Schedule C, then QuickBooks Self-Employed will work for you. Schedule C is a detailed profit and loss report that is submitted with a sole proprietor’s personal income tax form 1040. However, if you are a partnership or a corporation, QuickBooks Online Plus is going to be a better fit for you. If you file a Schedule C, pay expenses with a debit card or credit card, write only a handful of checks each month and have no employees or contractors, QuickBooks Self-Employed is ideal for you. Plus, if you do your own taxes, QuickBooks Self-Employed TurboTax bundle will allow you to transfer your data to TurboTax. Files a Schedule C with Form 1040. Pays majority of expenses using a debit card, credit card or cash ― minimal paper checks. Writes no more than five checks per month. Invoices no more than 10 customers per month. Does not have any employees as QuickBooks Self-Employed does not have payroll functionality. Does not employ any contractors. If you do employ contractors, and they are paid $600 or more in a calendar year, then you will need to complete 1099 reporting. QuickBooks Self-Employed does not support this function. Get started today with QuickBooks Self-Employed, and you can save up to 50 percent off for the first three months. Plans start at just $12 a month. If you file taxes as a partnership, S corporation (S-corp) or C corporation (C-corp), and you need to track inventory, manage accounts payable (A/P), and pay employees or contractors, then QuickBooks Online Plus is going to work best for your business. Plus, you can do budgeting and forecasting in QuickBooks Online and give up to seven users access to your data. If you are leaning towards QuickBooks Online, you will need to choose the right plan for your business. QuickBooks Online has three plans that start at $20 per month: QuickBooks Online Simple Start, Essentials and Plus. To learn more about the features included in each plan, check out our QuickBooks Online comparison guide. QuickBooks Self-Employed has two pricing plans, a standard plan which starts at $10 per month and the TurboTax bundle plan, which starts at $17 per month. You can keep track of income and expenses, track mileage using the mobile app, and invoice customers with both plans. However, the TurboTax plan exports your data to TurboTax. QuickBooks Self-Employed was created for freelancers who don’t need all of the bells and whistles included in QuickBooks Online but still need a software program that addresses their basic needs like manage income and expenses, track miles to and from clients, and transfer the data to a tax return easily. While you can’t manage unpaid bills or print checks, it’s still a great program that meets the needs of many freelancers, Uber and Lyft drivers, and part-time property investors. QuickBooks Self-Employed will help you organize your income and expenses with all of the many features that are included. 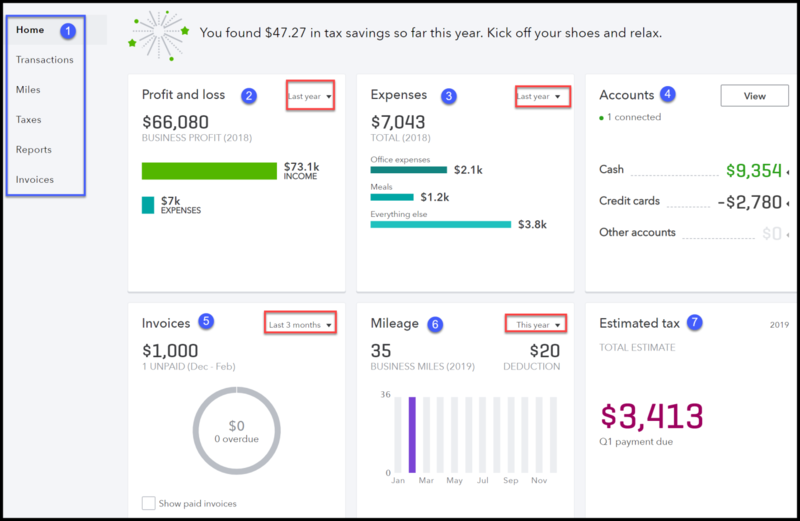 Track your mileage, connect your bank card and credit card accounts, separate personal from business expenses, and upload receipts are just a few of the many features you will find in QuickBooks Self-Employed. If you drive for business reasons, you can deduct the cost of mileage or actual vehicle expenses. QuickBooks Self-Employed has a mileage tracker app that you can download on your Android or IOS phone, and it will track your start and stop locations for all of your trips automatically. Similar to QuickBooks Online, you can download your bank and credit card transactions directly into your QuickBooks Self-Employed account. From there, you can categorize each transaction to the appropriate account to complete your Schedule C.
It’s easy to separate your business and personal expenses by setting up a category for personal expenses during the bank account setup. Any expense that comes out of your bank account and is not related to your business should be categorized as personal expenses so that it is not included as a tax deduction. For example, if your rent check is downloaded from your bank into your QuickBooks Self-Employed account, and you do not work from home or claim the home office deduction, this would be considered a personal expense and should be categorized that way. If you don’t have a separate bank account for your business, you need to set one up. It is not a good idea to commingle personal funds with business funds. If you are ever audited by the IRS, and you do not have separate business checking accounts, I can promise you that it will not go well. The QuickBooks Self-Employed mobile app for iPhone and Android allows you to take a picture of a receipt and attach it to a transaction directly from your mobile phone. This type of functionality will save you time in the long run and is a valuable feature of QuickBooks Self-Employed. Based on the tax profile that you complete during setup, QuickBooks Self-Employed will project your annual profit, provide you with estimated tax payment recommendations and provide alerts for all tax due dates. With the purchase of a TurboTax Bundle, you get QuickBooks Self-Employed combined with TurboTax Home & Business. This makes it easy to transfer all of your Schedule C information into TurboTax to complete your tax return. If you do your own taxes, this is the plan you should subscribe to because TurboTax will make tax time a breeze by calculating all of the deductions that you qualify for and will lower your tax liability. With the purchase of a TurboTax Bundle, QuickBooks Self-Employed includes both a federal and state tax return filing for free. However, the product does not currently handle state quarterly estimates or tax payments. 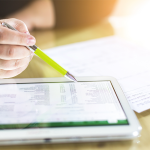 Having the ability to run these reports will give you insight into how profitable your business is as well as provide the details of your estimated tax liability. Left menu bar: Navigate to each area of the program using the left menu bar. Profit and loss: View total income and expenses in this section for any timeframe you specify, such as this month, last month, this year, or last year. Expenses: View your total expenses in this section for the timeframe that you specify, such as this month, last month, this year, or last year. Accounts: View the current balance of all bank/credit card accounts connected to QuickBooks Self-Employed. Invoices: View current accounts receivable balances in this section. Mileage: View the total mileage recorded using the QuickBooks Self-Employed mileage tracker app. Estimated taxes: Review the estimated taxes you owe, based on an automatic calculation performed by QuickBooks Self-Employed from the income and expenses you have recorded. Go ahead and sign up for a 30-day free trial so you can download the QuickBooks Self-Employed app and start tracking your miles and taking a snapshot of those receipts so they will populate in the program for you automatically. There is no risk — and no credit card required. QuickBooks Self-Employed customers like how user-friendly the program is, and they also like the automatic mileage tracker app. On the negative side, customers don’t like that it is missing some of the features you would expect in an accounting software product like the ability to create recurring transactions and track A/P. For more information, visit our QuickBooks Self-Employed reviews page. 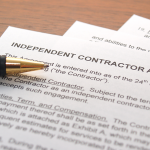 There are several pros and cons to using QuickBooks Self-Employed. 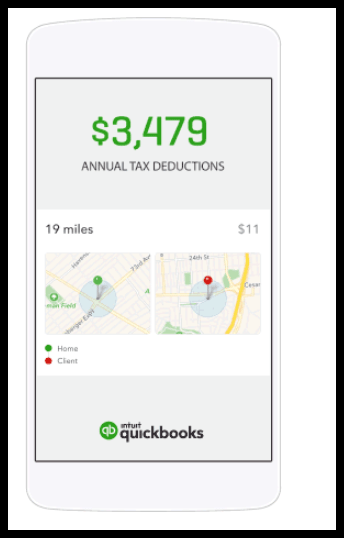 On the pros side, QuickBooks Self-Employed makes it easy to track mileage and expenses using the mobile app. You can also separate business from personal expenses, which is great if you have not opened a business checking account. On the negative side, you can’t manage your A/P, and you cannot pay employees and contractors in QuickBooks Self-Employed. We have included the most frequently asked questions about QuickBooks Self-Employed in this section. If you don’t see your question, head over to the Fit Small Business forum and post your question there. We look forward to answering questions from small business owners like you every day. Is QuickBooks Good for Self Employed? QuickBooks Self-Employed was made for self-employed people like freelancers and Uber or Lyft drivers. It allows you to keep track of personal and business expenses, plus it calculates your estimated quarterly taxes. Additionally, with the QuickBooks Self-Employed mobile app, you can track your business mileage easily. QuickBooks Self-Employed is free for the first 30 days. After 30 days, you will need to sign up for a paid account. You can sign up for the basic QuickBooks Self-Employed account, which starts at $10 per month. Alternatively, if you also want to keep track of your taxes, the TurboTax Bundle account starts at $17 per month. What’s the Difference Between QuickBooks Self-Employed & QuickBooks Online? There are several differences between QuickBooks Self-Employed and QuickBooks Online. QuickBooks Self-Employed is ideal for sole proprietors and small business owners who want to keep track of both personal and business expenses. QuickBooks Online is ideal if you are a partnership, S-corp, or C-corp that needs to pay employees, track inventory, and track payments to 1099 contractors. How Do I Upgrade From QuickBooks Self-Employed to QuickBooks Online? To upgrade from QuickBooks Self-Employed to QuickBooks Online, you will need to export the data that you need out of QuickBooks Self-Employed manually and import it into QuickBooks Online the same way. Luckily, you can contact the Intuit Support team, and they will assist you with this process at no additional charge. If you are a freelancer or solopreneur with no employees or contractors, QuickBooks Self-Employed was made for you. You can sign up for the standard version, and then upgrade to the TurboTax bundle whenever you’re ready. If you are ready to ditch that Excel spreadsheet and get your income and expenses organized, sign up for a 30-day, risk-free trial of QuickBooks Self-Employed and check it out for yourself. Everything I read says that with QB Self Employed, I should be able to run a Profit & Loss Report. I have looked and clicked EVERYWHERE, and don’t seem to have that option. I looked at my QuickBooks Self-Employed test account and I could not locate the Profit & Loss Report either! Did you try to contact the support team at Intuit? If not, that’s what I would recommend. There should be a profit and loss available in this program according to the list of features on the Intuit website. You can contact the Intuit support team to get them to help you. I’ve been in contact with them. So far, I just get the run around. It’s all VERY frustrating. The keep telling me that we don’t have the Self Employed. I keep telling them that it says right here on the statement/ receipt that I do. “To double-check, go to Report in the left navigation panel and click View. I’ve attached a screenshot for additional reference. If you’re still unable to see any report, let’s check if the browser’s cache is causing the data not to load up. To isolate the issue, you’ll need to switch to private browsing mode. Hi Shalene, first of all I’m really sorry that you have had so many issues with getting this resolved. I decided to send out a Tweet to see if anyone else had experienced an issue with running the Profit and Loss Report in QuickBooks Self-Employed. As a result, someone from the Intuit Customer Support team responded to me! I’m working with that person to see if he/she can help me locate the report in my account. I would be happy to provide the step by step instructions to you or better yet have them contact you directly. Can you send me an email so that I can have them reach out to you? My email is: cshelton@fitsmallbusiness.com. You can also follow me on Twitter @CrystalynnPens. Here are the instructions to cancel a QuickBooks account, but if you’ve already tried that, then consider going online to the website, and use the online Chat feature or email support feature (from the website) to ask them to help you cancel your QuickBooks account. If you cancel within your free 30 day trial period, you won’t be charged anything. If you’re a paying subscriber and you cancel your subscription to QuickBooks Online Service for any reason, Intuit is unable to provide you with a pro-rata refund for the rest of the month that you paid for up front. You will continue to get the QuickBooks Online Service for the remainder of the month you paid for which is when the cancellation of the subscription is made effective and when you will no longer have access to the service. Hey Aline! That’s a good question. Unfortunately QuickBooks Self Employed will not integrate with any of the QuickBooks desktop products. It is a standalone product. In addition, it does not have many of the features that QuickBooks Desktop has, like the ability to manage your bills. QuickBooks Self Employed also has limited reports available. Before you decide to make the switch, make sure that you can do everything you need to in QBSE. I am trying to figure out if this is something worthwhile for me. I am a 1099 employee for another company as a Personal Trainer. It is currently my only job, and I am looking for something that can help me organize all of my expenses to make life easier come tax time. This year is the first year of me doing full Self-Employment Taxes. In 2016, I had mostly W-2 employment. I am sure I have some receipts that have fallen through the cracks, and all that fun stuff. So, I think this would help me organize better, and get my full deductions. Also, if I connect my bank account with this, will it pick up payment from Zelle? That is how I get paid (it was through Clear Exchange before it became Zelle). Also, I already have an existing TurboTax account in which I selected the Self-Employment option for this year. Can I still do a bundle if I want to? How does that work? Can I use my already updated profile on TurboTax with Quickbooks? Thanks so much! I’m almost positive that you can use your existing user ID to access your QBSE account but again that is a question that Intuit is better equipped to answer. Don’t forget that you can also deduct the miles that you drivel to/from your clients on your tax return. The QBSE app will automatically keep track of your miles once you turn it on. Congratulations on taking the initiative to get organized for the new year! Thanks so much for reading! Great article! I’m just now starting an online tarot reading business and I think QB Self-employed is the best bet. However, I do expect more than 10 clients a month. Is this still fine? Also, all payment is via my booking site and goes into my business Paypal accounts, which I’ve linked to QB Self-Employed already. So any payment received should be processed through that account and directly into my Transaction on QB as income, right? Thanks! Hi Mercedes, congratulations on your new business! Yes, as long as your invoicing is pretty simple, you can definitely process more than 10 clients using QuickBooks Self Employed. Having your Paypal accounts linked is the best way to set things up. This way, when the transactions flow thru to QBSE, you just have to categorize them to an income account and you’re all set.